Providing peace of mind for your home, property or business. ASM Access offer a full range of security door solutions in partnership with the country’s leading door manufacturers. Options include vandal resistant panels, made from a quarter century of design and manufacturing experience, and known for their high quality and durability. We can also offer a full turnkey solution to ensure that the best options for security, accessabilty and aesthetics are available regardless of how big or small the need. In addition, our high level of experience installing access control systems means that we can offer a range of security options to meet your needs. We are proud to be a Videx and Entrotec approved installer, regularly fitting audio door entry systems and video door entry systems, which include the same audio link whilst enabling the occupant to both talk to and see the caller either on a small screen on the handset or through a computer network. 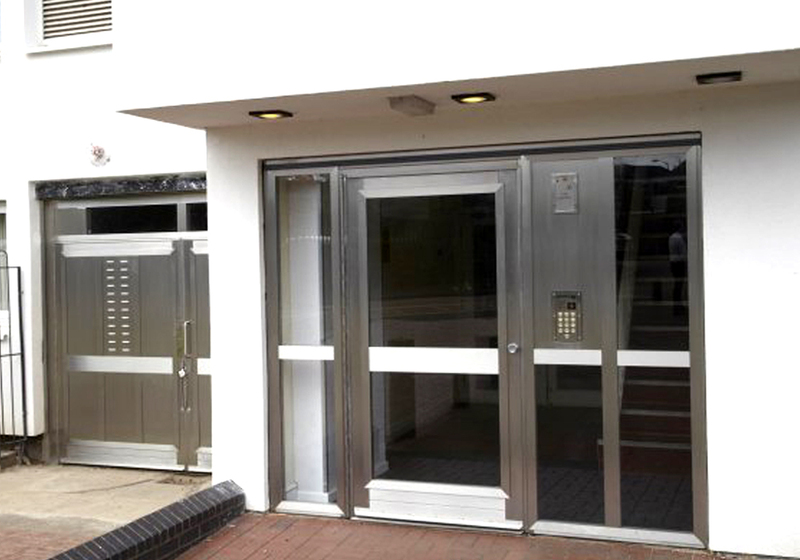 You can also enjoy the peace of mind that our door systems can be supplied and installed throughout the UK, and that we can provide seamless integration for automatic doors, door entry systems or high security access control. Whatever your needs, ASM Access can provide the perfect security door system for your needs.